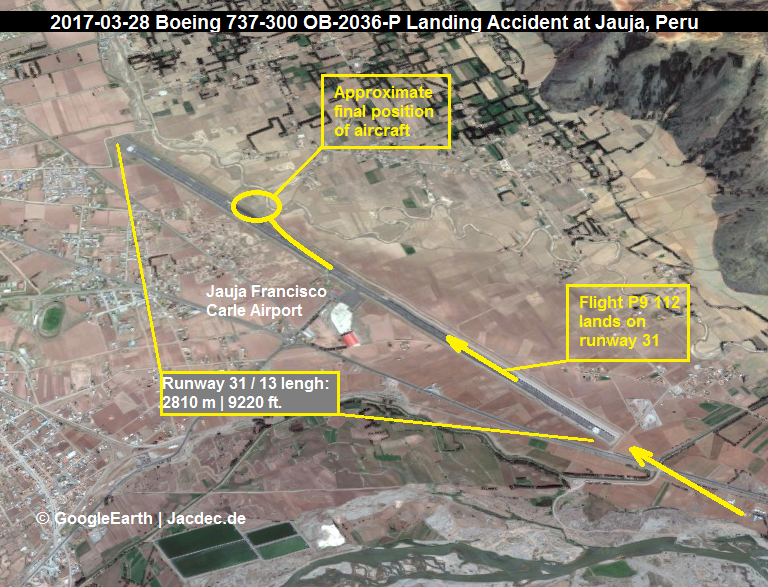 In daylight and good visibility, Peruvian Airlines flight P9 112 was landing runway 31 at Jauja’s Francisco Carle Airport. 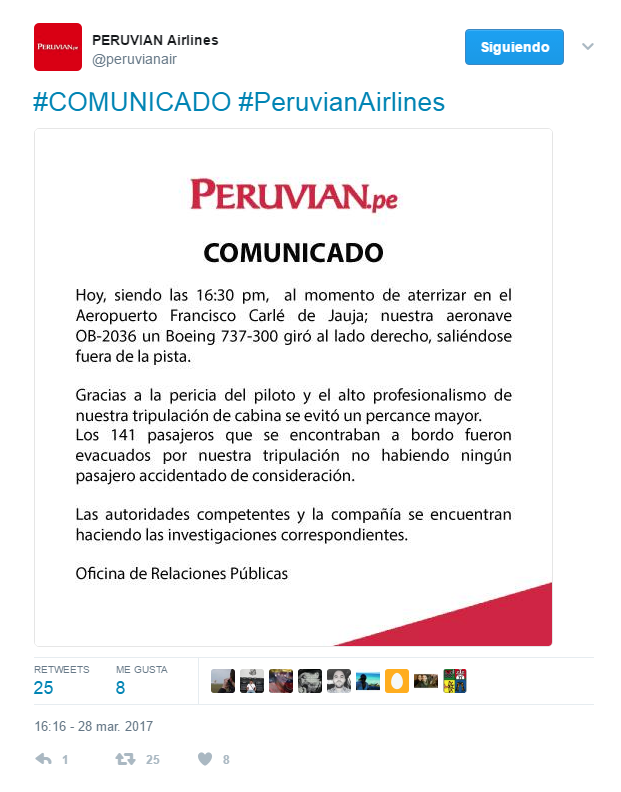 Reportedly, the touchdown was pretty hard resulting in a bounced landing. On the 2nd touchdown the right maingear collapsed causing the right wing and engine to drag on the ground. The pilots were unable to maintain directional control and the aircraft veered to the right where it ran across soft ground and into a drainage ditch. The right wing/engine assembly was damaged resulting in a ruptured fuel line. Leaking fuel caught fire leaving a burning trail behind the 737 until it came to a stop after about 2 / 3 of the runway. 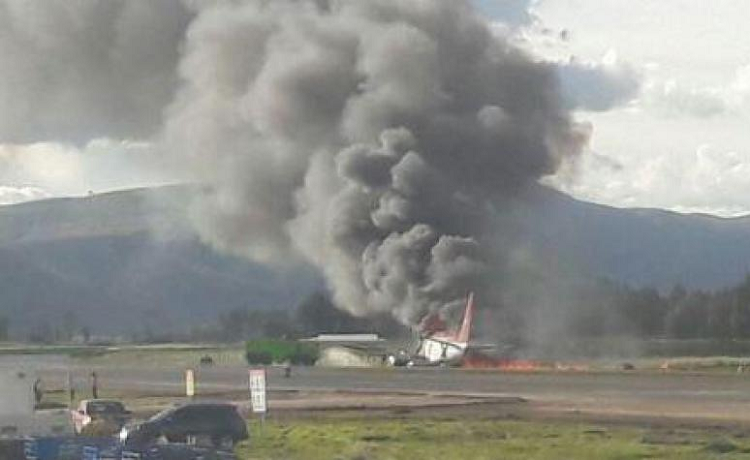 The only runway at Jauja Airport is 2814 x 45 meters (9233 x 148 ft.) in lengh. An emergency evacuation was carried out immediately. 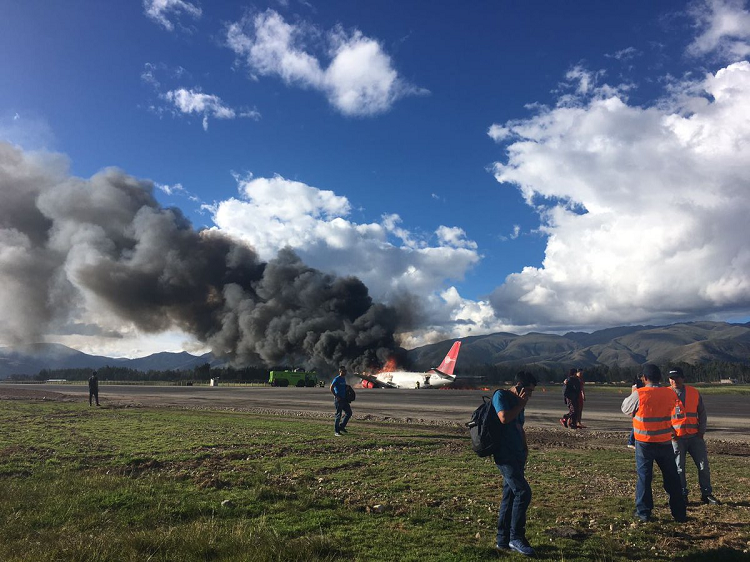 According to local press reports, there were no injuries among passengers and crewmembers whereas other sources claim there were 29 injured persons. All were non-life threatening. 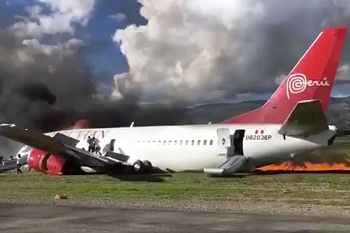 Despite the involvement of fire trucks the fire spread and eventually destroyed the entire aircraft. 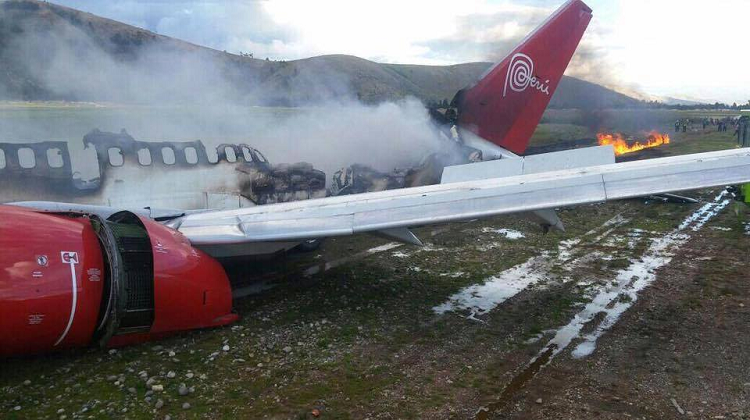 The Peruvian Accident Investigation Commission is going to launch an investigation. 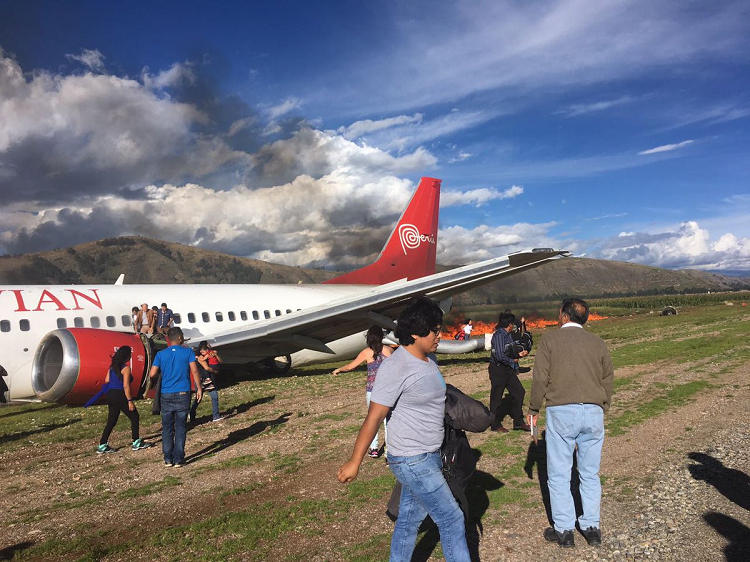 Jauja Airport’s Elevation is 11,034 feet/3363 meters MSL, the airport offers runway 13/31 of 2810 meters/9220 feet length.